WASHINGTON- Leaders of a major Northwest D.C. mosque say they won't be deterred or intimidated by the possibility of armed anti-Muslim protestors on their doorstep this weekend. A confederation of groups operating under the banner of the "Global Rally for Humanity" organized approximately 20 mosque protests this weekend. 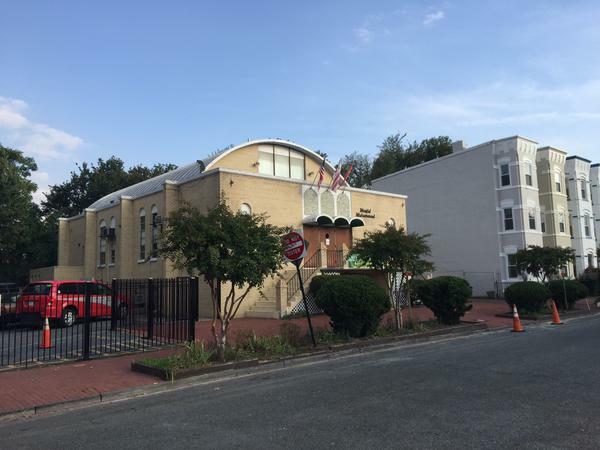 D.C.'s Masjid Muhammad in Shaw was on their list. ALEXANDRIA, Va. (WUSA9) -- Francis C. Hammond Middle School in Alexandria was evacuated Monday morning due to the smell of gas, Alexandria Public Schools said. The fire department responded and then gave the all clear. ALEXANDRIA, Va. (WUSA9) -- Hurricane Joaquin may have bypassed the D.C. area, but heavy rains have still left high water in Old Town Alexandria. The normally bustling business district was quiet Saturday afternoon. Some people came to Alexandria just to check out the impact of the storm. "I predicted maybe about 6-7 inches," said 11-year-old Christopher Brooks. He may only be 11 years old, but Christopher is certain of his future career. He wants to be a meteorologist. "You get to go outside and stand in big puddles like this, or hurricanes. It's just amazing," said Christopher. Christopher is so interested in meteorology that he convinced his father and grandmother to bring him to Old Town Alexandria to see the flooding. ALEXANDRIA, Va. (WUSA9) -- The city of Alexandria is trying to be as prepared as possible for this storm, especially in flood-prone areas like the Old Town waterfront. People who spend a lot of time in the area say with high tide and all the rain in the forecast, water levels could jump several feet. "We expect the highest level about 1:00 tomorrow morning," says Jeff Duvall, the deputy director of transportation and environmental services. "We are looking at a level of about 4.43 feet, which brings us into the 100 block of King Street." That amount of water could mean trouble for businesses and homes in the area, businesses like "Why Not?" a toy store on King Street. Barry Culpeppper works at the store and is already taking precautions by lining up sandbags outside. ALEXANDRIA, Va. (WUSA9) -- A road rage incident is under investigation after a shot was fired during an Alexandria road rage incident Thursday. The incident happened in the 4000 block W. Braddock Road, Alexandria police said. The road rage incident started on 395. ALEXANDRIA, Va. (WUSA9) -- The Fairfax County community is still trying to figure out why a 42-year-old man had to die. Police say Khalil Aboumalik was killed over a few dollars in a robbery last month. Dozens of people, many of whom didn't even know Aboumalik, turned out for a vigil Wednesday night at the park where his body was found. Twelve years ago, Aboumalik immigrated from Morocco, looking for the American dream. He worked as a cook in restaurants, always sending money back to his family in Morocco.